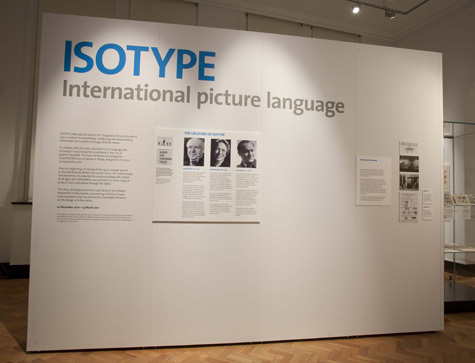 The exhibition Isotype: international picture language was a collaboration between 'Isotype revisited' and the V&A. Preparations for the exhibition began in May 2008 and continued until December 2010. 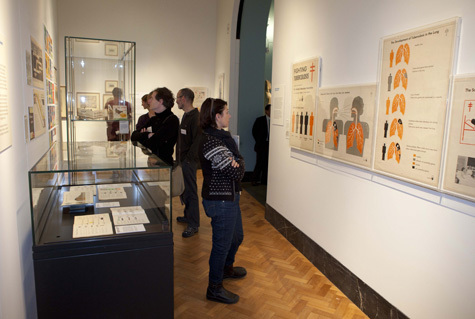 A private view was held on the evening of Friday 10 December. Among the official guests were His Excellency Dr Emil Brix, Austrian Ambassador to the United Kingdom, and Dr Elisabeth Brix. Words of welcome were given by Beth McKillop, Deputy Director of the V&A and Director of Collections, and by Professor Tony Downes, Pro-Vice Chancellor, University of Reading. During its run, the exhibition was seen by an estimated 15,000 people. 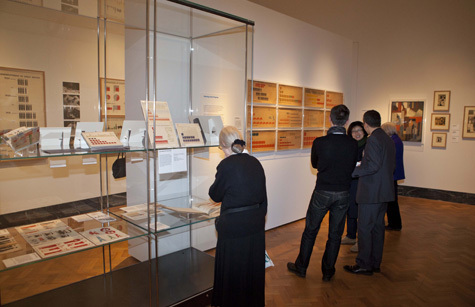 The exhibition was arranged in 12 sections (see list at left). 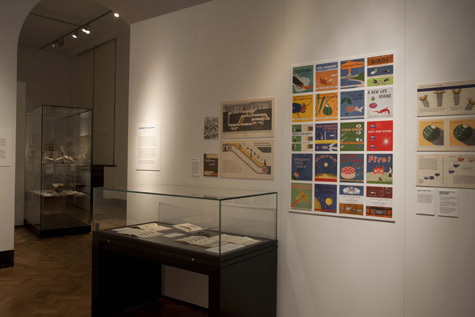 It drew almost exclusively on material held in the Otto & Marie Neurath Isotype Collection at the University of Reading, with several further objects borrowed from private collections. In total, 153 original objects were included; an additional 63 were shown in reproduction. 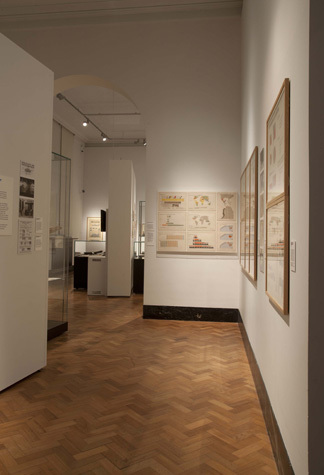 The exhibition was installed in the Studio Gallery, rooms 17a and 18a on the ground floor of the V&A. Installation photos can be seen below. 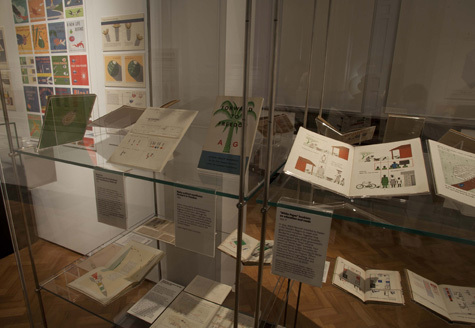 A PDF of the exhibition's gallery guide is available here. See Credits for details of those involved in the exhibition. 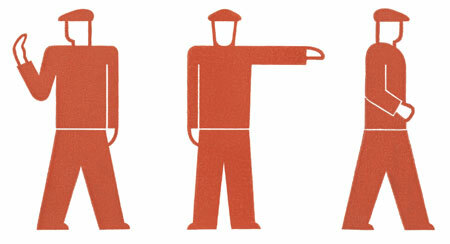 Please note: this section of the 'Isotype revisited' website is intended to serve as a record and a catalogue of Isotype: international picture language. We plan to add images of most items in due course, though this will be done incrementally. Introduction to the exhibition. 'Society and economy' begins, at right. 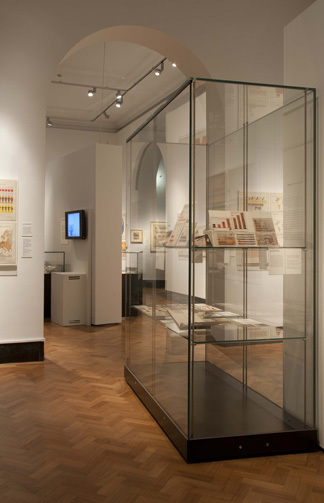 'Society and economy', including array of original charts (right) and Gesellschaft und Wirtschaft charts (middle). 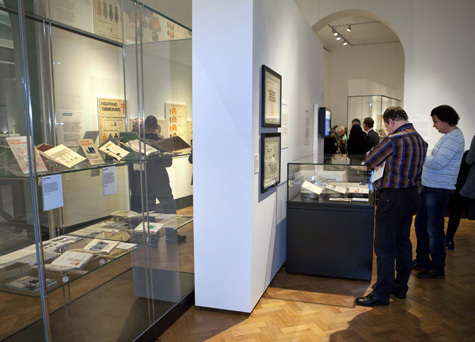 'Society and economy' (left, foreground and background) and 'Picturing Soviet progress' (right). Fifteen Years since the October Revolution charts in 'Picturing Soviet progress'. 'Society and economy', 'Picturing Soviet progress' and 'Sociological graphics'. 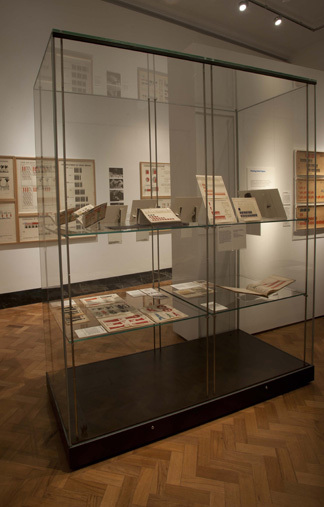 'Picturing Soviet progress', looking through to second room. 'Knowledge for young people' (left) and 'Health, knowledge and modern man' (right). 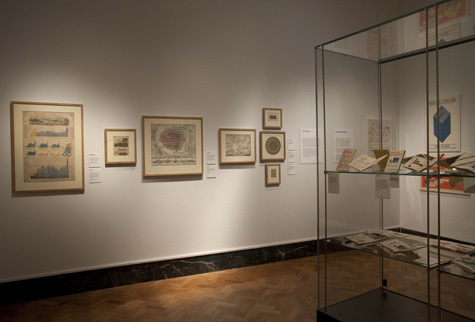 'Health, knowledge and modern man (left), 'Around Rembrandt' (middle) and 'Knowledge for young people' (right). 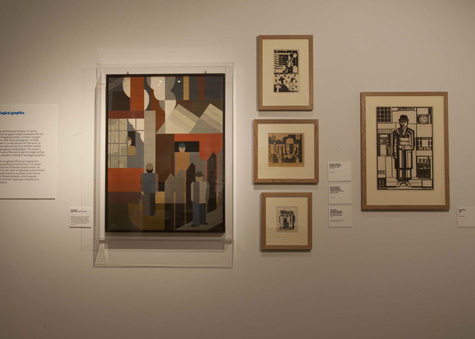 'Knowledge for young people' (left) and 'Isotype beyond the West' (right). 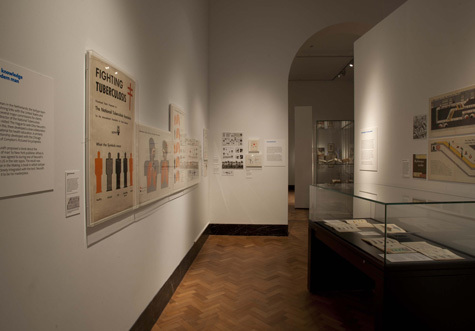 'Explaining a new society' (left) and 'War and the home front' (right). 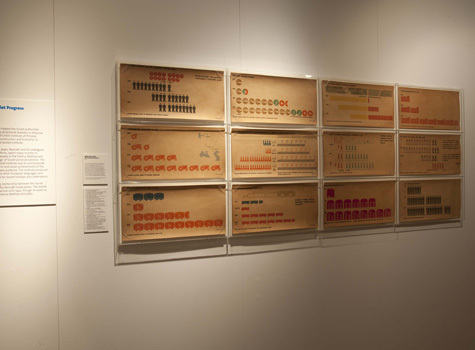 'Before Isotype' (left), 'Explaining a new society' (right) and 'Isotype beyond the West' (background).